It has been time since we heard from Sony about a new smartphone that the company is launching in the market and as we near the IFA in Berlin, leaks have started popping up with the Sony Xperia J. The Sony Xperia J is none other than the Sony ST26i which has leaked way back in May itself and the specs are almost out too but this time the images bring-in the colourful back of the smartphone which look vibrant on the device. 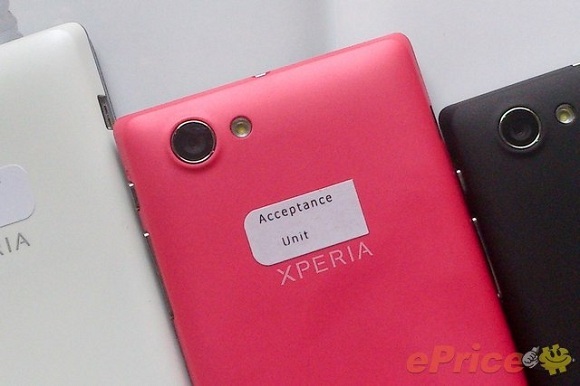 Going by the specs the Xperia J is rumoured to have a 4 inch (854 x 480) display, run on a single core 1GHz processor couple with a 512 MB RAM. 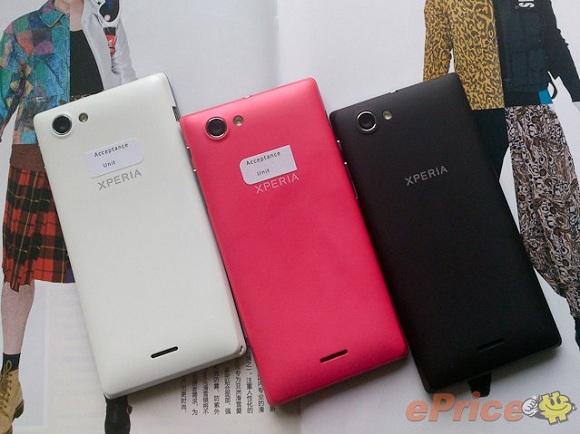 The Xperia J is bound to arrive with Android 4.0.4 Ice Cream Sandwich and a rear facing 5 MP camera at the rear with LED Flash. In these pictures, only the back of the device has been giving all the importance but if you wish to see how the screen looks with the three capacitive buttons and a front facing camera, then head over to this post. Sony is bound to be more aggressive after the launch of the Xperia J as an earlier leaked roadmap of the company suggested that it has three devices lined up for September.